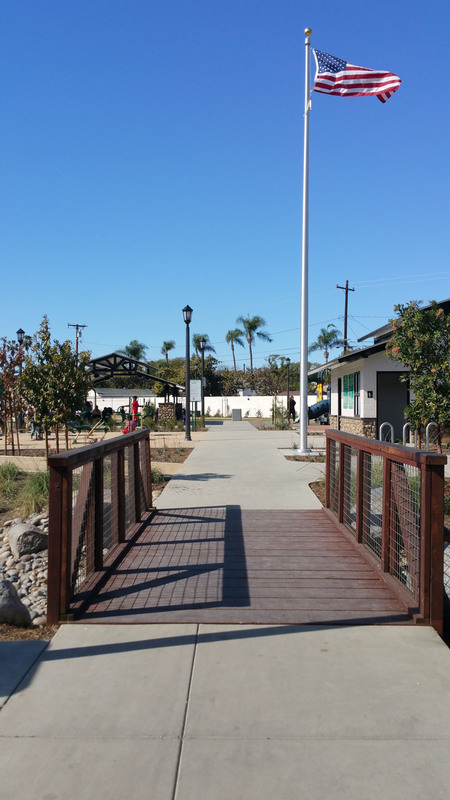 Pacific Electric is a small urban park that runs adjacent to the Pacific Electric bike trail in Santa Ana. 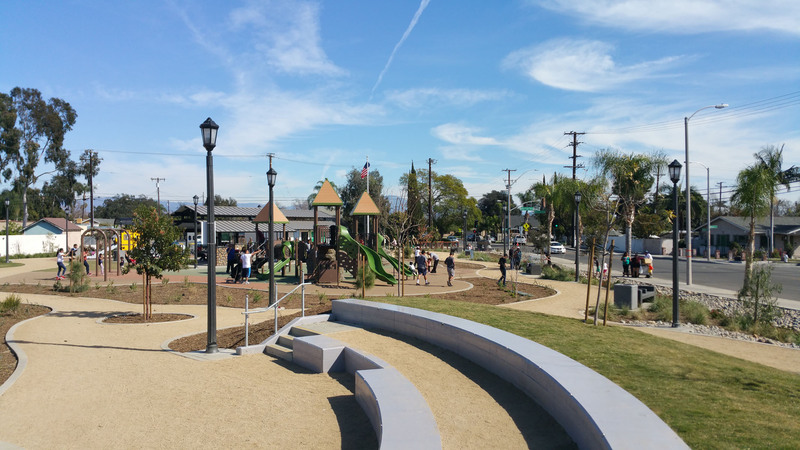 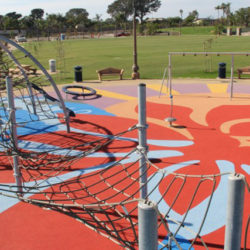 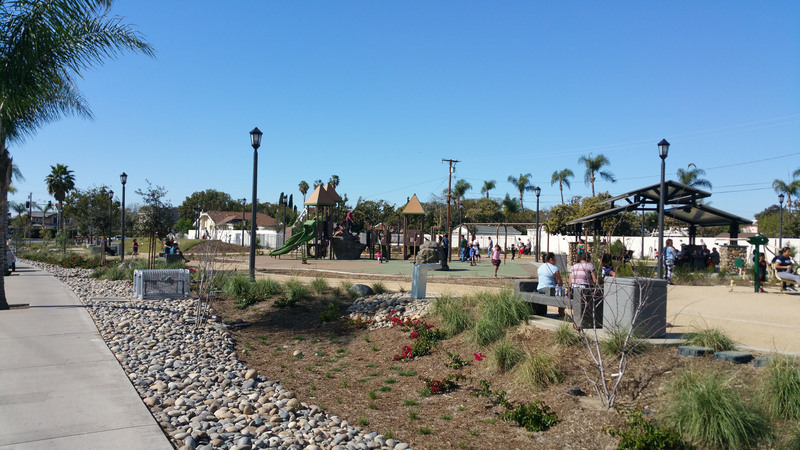 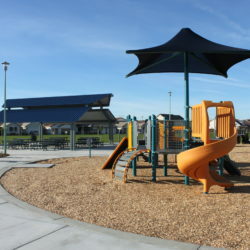 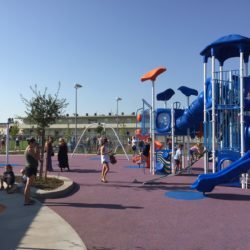 A portion of the project was funded using Federal Trail Enhancement resources, while support from a non-profit group known as Orange County On Track helped to include dynamic exercise equipment within the facilities of the park. 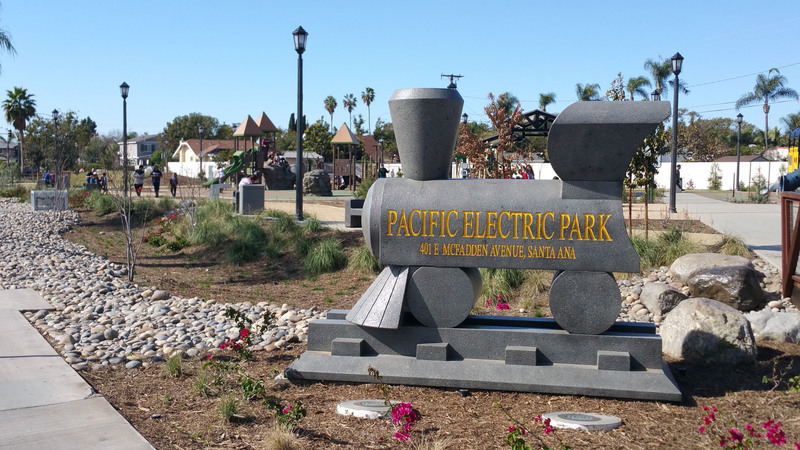 The Pacific Electric Railway, affectionately known as the Red Cars, was the largest electric railway system in the world in the 1920’s, connecting Los Angeles County to Orange, Riverside, and San Bernardino Counties. 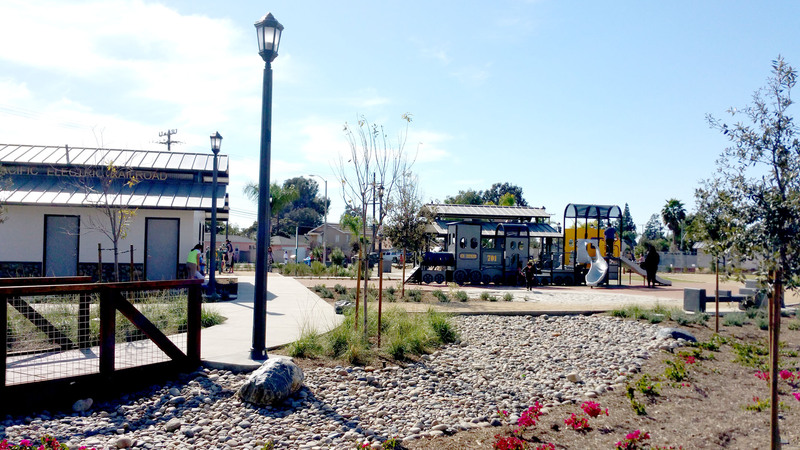 The railway connected the City of Santa Ana to the surrounding communities throughout Southern California. 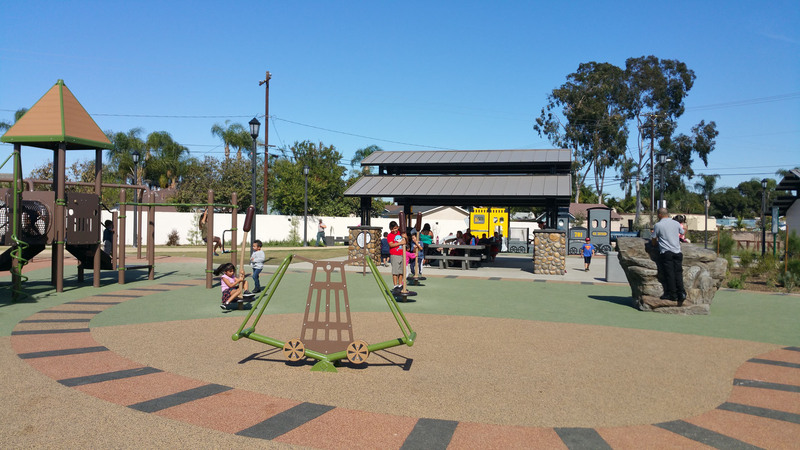 Playing off the historic railway theme, the train-styled play equipment, steam engine-shaped custom monument sign, and train station character architecture add a whimsical feel to the park. 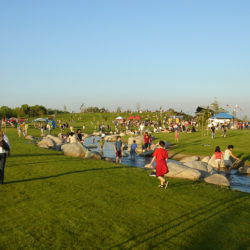 Local residents pressed for community garden plots to be included within the site, as well as an amphitheater to serve as a public gathering space making it truly community inspired.